The last few years I find I becoming more inspired by French Style, I like the quaint look of distressed wood, antiques, softer tones, and comfortable relaxed atmosphere mixing old items with the new. This small table project is a practice run, before I start a bigger project to take on an old chest and re-purpose into a television stand. 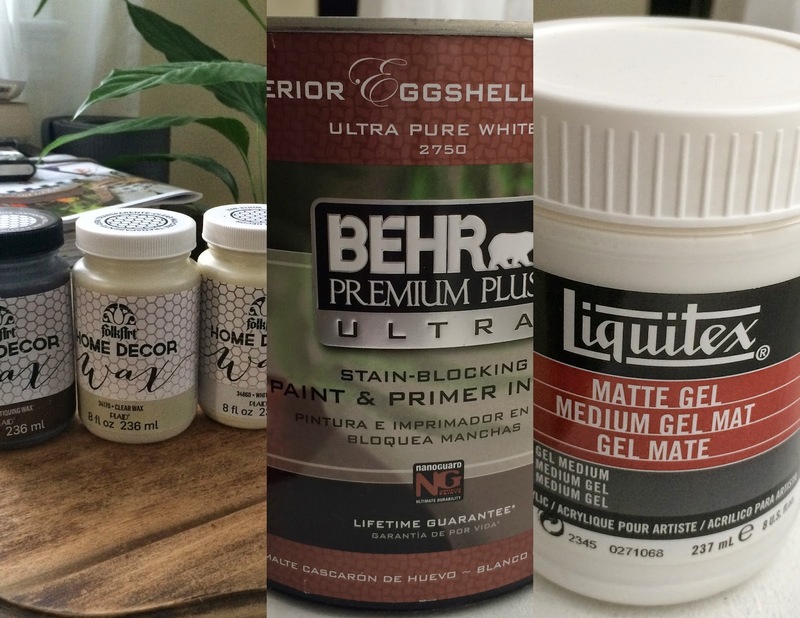 I read about using chalk paint which can be a bit pricey. Since I will be doing a larger project I decided to make my own chalk paint, and test it out on a small table. The Internet is filled with various DIY instruction on how to create your own chalk paint, I went with Salvaged Inspirations homemade chalk paint recipes and I am glad I did. I was going to use Plaster of Paris but switched to the No. 1 choice Calcium Carbonate which I bought on Amazon as the chalk agent to add to my Eggshell paint. I did come across Plaid Home Decor Chalk Paint in 8 oz size, plus clear wax, white wax and antiquing wax. I picked up a few colors at Jo-Ann for future projects. After painting and transferring image, I did some sanding to distress the table, then wax table first with clear wax then a bit of antiquing dark wax to give the table an aged look to complete. I did hours of research but once I started it took me only fours days till completion on Friday. It is hard to let a project go after completing, but this small table is ready for the spotlight...ready for some cafe or tea. 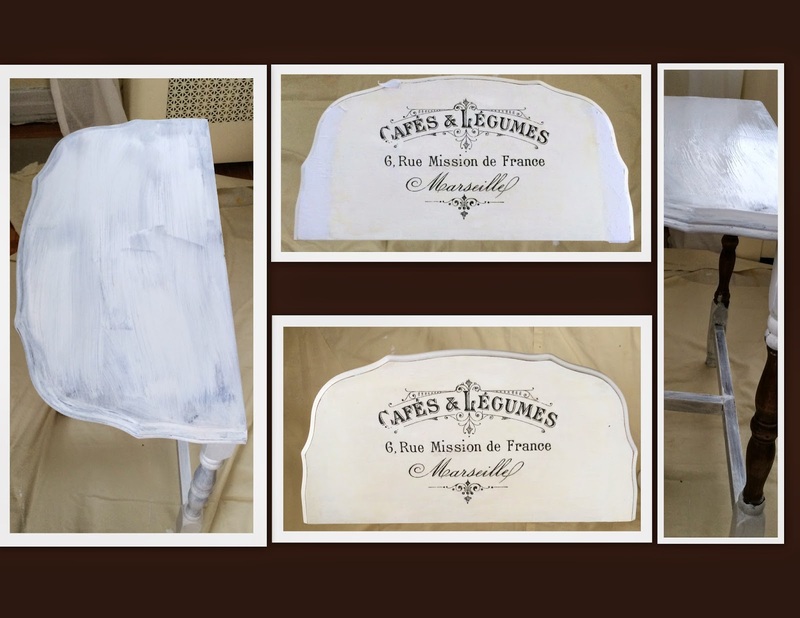 For my first chalk paint project I am happy how it turned out, and for developing my French Style I invested in a magazine and a few books to help me achieve those looks.